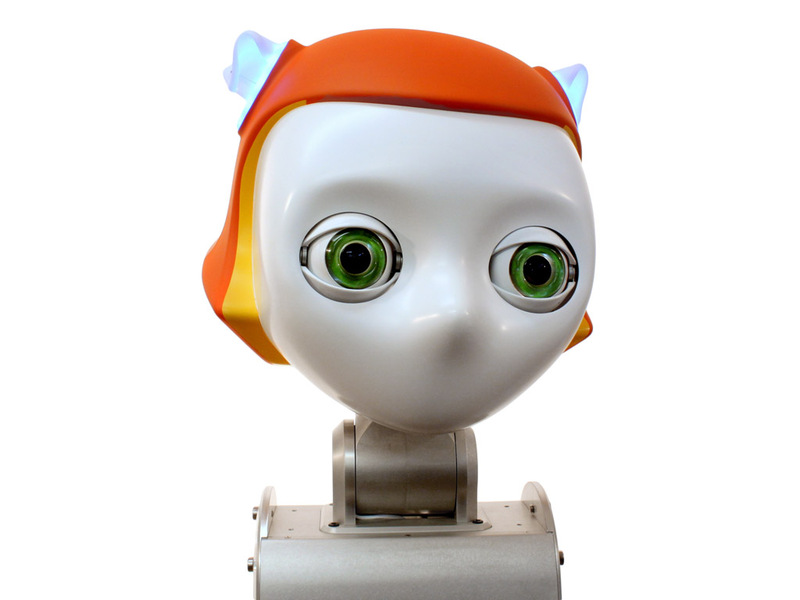 Dreamer is a research robot developed to be social and work closely with people. 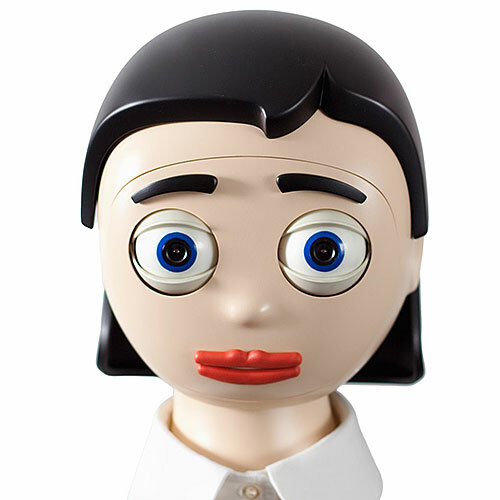 It uses compliant actuators, and its head is expressive but deliberately cartoonish to make it easier to interact with. 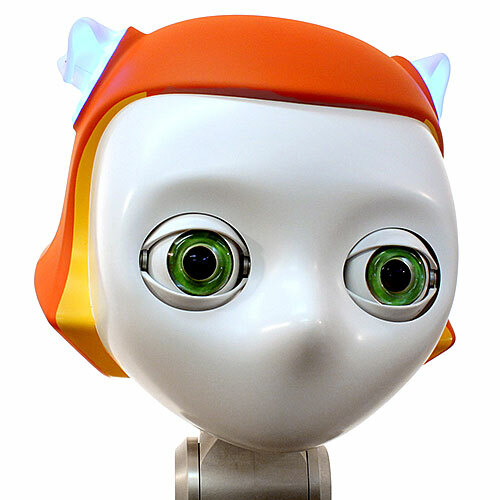 Dreamer's face was inspired by Japanese anime. 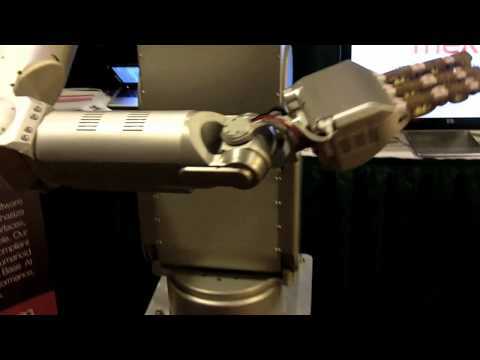 A Dreamer demo at a robotics conference. Transforming the Dreamer into reality. Dreamer gets its head checked. Dreamer's eyes are very high performance and can move just as fast as human eyes can. Dreamer's ears were inspired by Meka Robotics co-founder Aaron Edsinger's puppy. 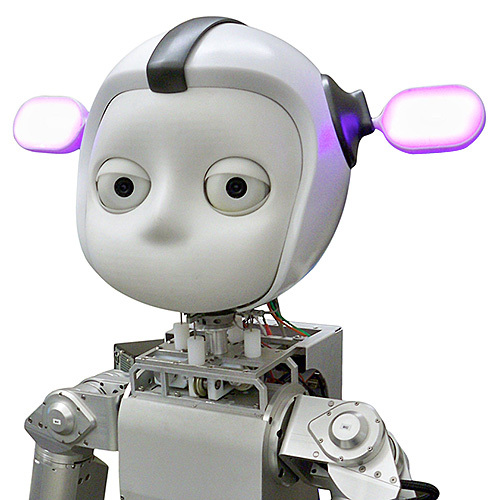 Dreamer stands for "Dexterous Robot for EducAtion, Manufacturing, and Engineering Research." Capable of performing whole-body compliant control. Equipped with series elastic actuators to absorb shocks and provide safe operation. 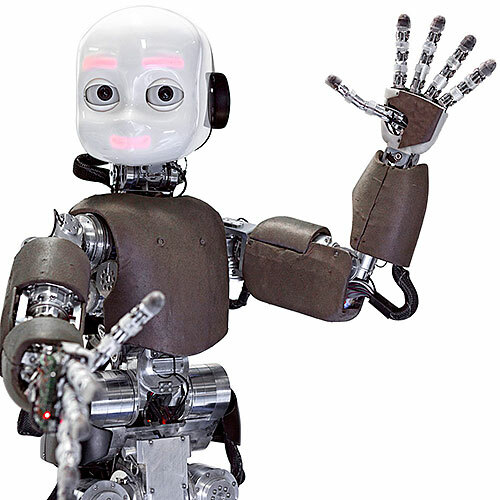 Camera, joint position and torque sensors, force sensors (in the wrists and fingers), inertial measurement unit. 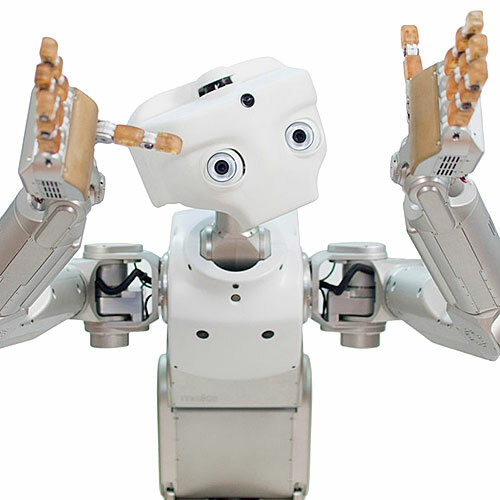 Series elastic actuators (in the arms), brushless DC motors (torso, head, and base), omnidirectional wheels. Ubuntu Linux OS and RTAI with Whole-Body Control Framework v1.1, Meka M3 server for communications, and skills programmed using YAML directives.